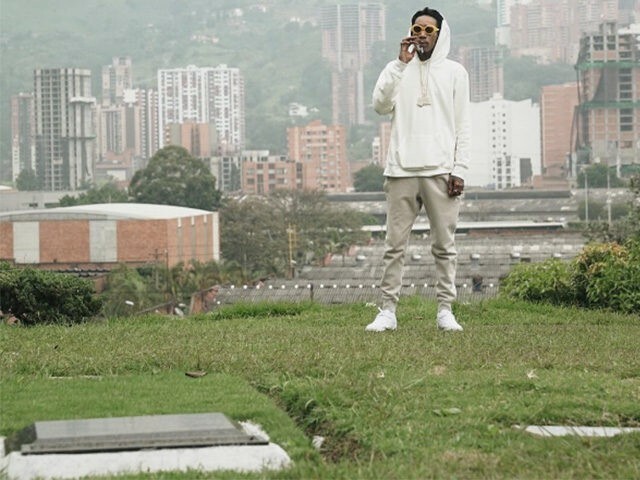 A photo of rapper Wiz Khalifa apparently paying tribute to the late Colombian drug lord Pablo Escobar sparked furor across the South American country this week. One photo posted to the “See You Again” rapper’s Instagram account shows a bouquet of fresh flowers and a marijuana joint perched next to a headstone belonging to Pablo Escobar. The 29-year-old rapper — real name Cameron Jibril Thomaz — ultimately deleted the photo, but not before it had been captured and spread online. The Pittsburgh-based rapper was in Colombia for a performance at a music festival in Medellin. “That scoundrel, instead of bringing flowers to Pablo Escobar, he should have brought flowers to the victims of violence in this city,” Gutierrez reportedly told local media. “He must offer an apology to the city,” Gutierrez said, adding that Khalifa was “not welcomed” back. Dozens of others took to social media to protest Khalifa’s apparent praise of the late drug lord, whose cartel killed thousands in the 1980s and 90s. Escobar’s life is the subject of the highly-popular Netflix original series Narcos. Wiz Khalifa has not responded to the controversy.